Moves all items including: Emails, Calendars, Tasks, Contacts and Notes. Capable to convert multiple Mailboxes from Exchange backup at once. No limitations on size of your Exchange backup file. Works well for corrupt BKF file as well providing its recovery. Provides Advance Scan for corrupted Windows backup file. Moves both Private (Priv.edb) and Public Store (Pub.edb) database. 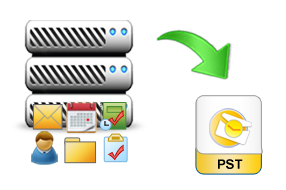 Exchange Backup to PST conversion tool is integrated with multiple facilities and technical algorithms which reads your Exchange BKF file and extracts data from it and then copy BKF to PST to make the data accessible without Exchange Server using MS Outlook. Software has been designed considering some inevitable situations like Exchange crash or Exchange Update to make the data accessible. The most important quality of software is it offers you to export complete data from a corrupted Exchange BKF file as well. Software has the caliber to read damaged EDB files inside backup and it extracts this data and copy Exchange BKF to PST. This mechanism of recovery can be done with scanning option which you have to check while performing migration "Do an Advance Scan" for major corruption issues in Exchange backup file. Deep Advance Scanning for higher corruption. Recovers and Exports data of Mailboxes (priv.edb). Recovers and Exports data of Public Store Files (pub.edb). Software scans data and represents it to the display of software showing you recovered data. You can also select any specific data from left panel and see it in detail in right panel. If you select particular EDB file the user mailboxes will appear as a catalogue, you can select mailboxes and add it to the list to be extracted to PST file. Separate PST files will be created per user mailboxes. Complete Preview offered with list in left panel. Select user mailboxes to be extracted and add it to list. Remove mailbox option also available. Software provides you complete conversion of all the data items like emails, calendars, notes, journals, contacts, etc and lets you export this data in PST file which can be saved at desired location. In this way you can copy BKF database to PST thoroughly. You can also save an already scanned Exchange backup file to save your time and once the export is done you will get a detailed report of data exported. You can also save scanned Exchange backup file. Save exported PST file at desired location on hard drive. Get detailed report of exported data also show status of export. It is always recommended to testify the software before purchasing and hence we provide a free demo version to check software performance and its working steps to get familiar with the software and gain confidence to run software without any external help. 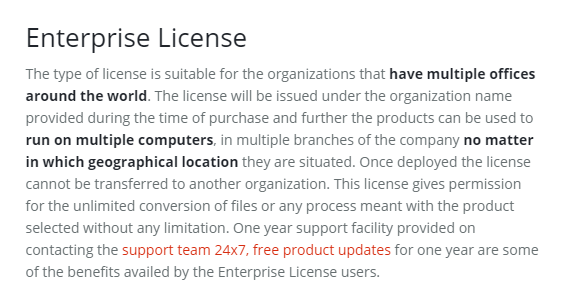 Trial Version Limitations: Free version of Exchange BKF to PST Software recover and generate preview of all the EDB mailboxes. Once you get confident about the software and get familiar with how to execute it, you can purchase the full version to accomplish task of recovery of data from Exchange backup file and migration of it to PST file without any restrictions. I must say the precision provided by the Exchange BKF to PST tool was awesome. I never thought that I could get my Exchange data accessible again but this tool did a wonderful job. Thanks for such a wonderful software. After a severe Exchange Server crash I was unable to access my Exchange Server data then one of my colleagues suggested me this Exchange BKF to PST tool which was an excellent selection for my urgent need. Performance delivered by the Exchange BKF to PST tool was impeccable and the most important factor it provided was its graphical interface which helped me to execute the software very well. Tool is really worth! I never trusted third party software but this Exchange BKF to PST tool was different. Service provided was praiseworthy and the tool was trustworthy as it provided complete recovered data and made it accessible in Outlook.